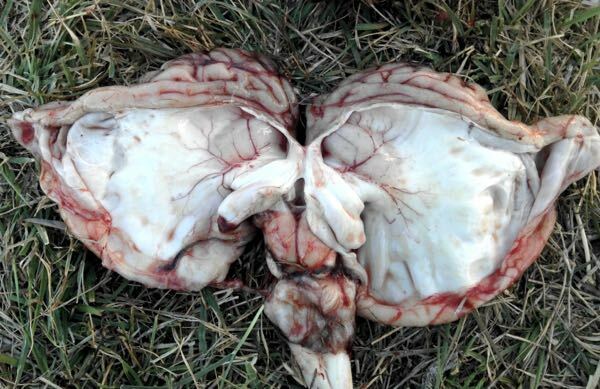 “Dummy Calves” reported by landholders can mean anything from calves with swollen heads and protruding tongues, to severe muscle spasms and ataxia. The causes can range from difficult calvings, infection in utero with a variety of viral and bacterial agents to congenital and genetic abnormalities. Having the opportunity to examine multiple affected animals showing symptoms with varying degrees of severity in this case, and combining this with multiple post-mortem examinations provided valuable evidence and helped narrow down the list of differential diagnoses. 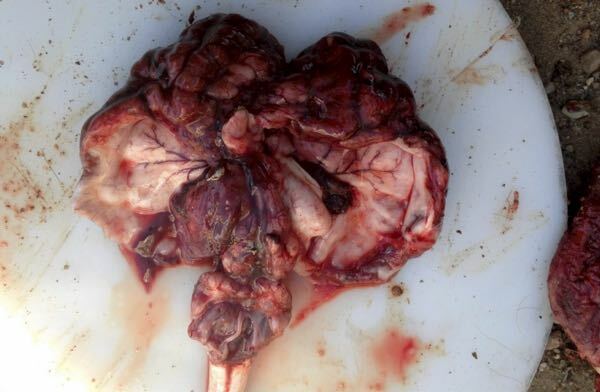 Exposure of a naïve herd of heifers to bovine viral diarrhoea virus (BVDV) was determined to be the cause of the high number of stillbirths and abnormal calves seen in this herd. A mob of 30 Hereford heifers was calving near Narrabri in North West NSW in September 2017. At the time of investigation, there had been seven normal calves born, three still born and seven “dummy” calves with symptoms ranging from mild ataxia to recumbency and inability to stand. The heifers had been grazing native pasture, recently supplemented with hay. They had not been vaccinated, nor drenched, nor had they received any other treatments. The bull had only been used for the heifer mob and had not been used by this owner previously. The affected calves were normal in appearance. Three were able to stand and suckle, though they showed marked muscle tremors, mild ataxia and had diminished menace responses. It was difficult to determine in the field whether they were blind – they seemed to have at least some visual impairment. Of the remaining four calves, one had died soon after birth, and the remaining three were lying in lateral recumbency, unable to stand. They were responsive to sound and touch, but vision again seemed impaired – normal palpebral reflexes but absent menace reflexes. When they were assisted to stand, they could balance for a few seconds with limbs splayed before falling. They all displayed a suckle reflex when fingers were inserted into their mouths. All attempted to rise when stimulated, one managing to get into sternal recumbency before falling again. All had normal withdrawal reflexes in all four limbs, normal panniculus responses, normal patellar reflexes and all had good tail tone. A post-mortem examination was performed on the calf that had died – it had been stored in a coolroom for 24 hours. There were few abnormalities in the chest and abdomen that could not be attributed to the time since death. The abomasum was empty – suggesting the calf never suckled. 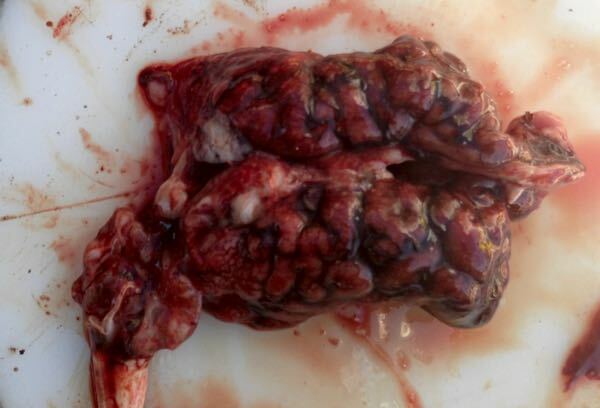 When the brain was removed, there was marked symmetrical hydranencephaly and cerebellar hypoplasia. The gyri and sulci were present in the cerebrum, but cerebral walls were only 5mm thick caudally, and 10mm thick rostrally (Figures 1, 2 and 3). The cerebral cavity formed by the thin cerebral walls was filled with clear pink-tinged fluid. Figure 1. 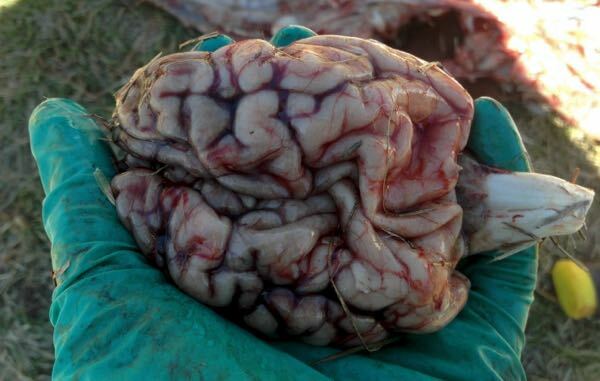 Brain of deceased calf, removed approx 24 hours after death. Figure 2. Within the cerebrum were two large cavities filled with fluid. Note the small size of the cerebellum. Figure 3. The cerebral walls peeled back to show the extent of the cavities within the cerebrum. Again note the small cerebellum. Figure 5. The thin cerebral walls peeled back to reveal the extent of the fluid filled cavities within. The small, underdeveloped cerebellum can be seen caudally. The differential list for this case included arboviruses, bovine viral diarrhoea virus (heifers infected while pregnant), neosporosis and genetic congenital neurological diseases. National Arbovirus Monitoring Program (NAMP) sentinel herds in the district had shown positive reactors for arboviruses this season, and there had been diagnosed Akabane cases on the Tablelands 200km to the east. Laboratory testing showed that all heifers were negative for Akabane virus on ELISA, as well as the deceased calf testing negative on PCR. The calf also tested negative for BVDV antigen, however all three heifers returned high positive results (>3) for BVDV antibodies – indicating a recent infection with BVDV. BVDV is known to cause congenital abnormalities in calves when their mothers are infected while pregnant. The signs seen and degree of abnormality are determined by the stage of pregnancy at the time of infection. The hydranencephaly2 and cerebellar hypoplasia1 are consistent with calves whose mothers became infected between 125-175 days gestation1. Ocular abnormalities can also occur at this stage, so the vision impairment observed in these calves may not have been purely neurological in origin1. The cattle on this property, as is so often the case, had no known history of exposure to BVDV, and the owner did not have a prevention or control plan in place. Thus the consequences of exposure of naïve animals during pregnancy were severe and undoubtedly expensive. In this case, it was important to exclude Akabane virus as the cause, due to the broader implications of finding evidence of the disease in a region that has not seen arboviral outbreaks for several years. Akabane virus also causes blindness, ataxia, variable effects on suckling ability and hydranencephaly, however is not usually associated with cerebellar hypoplasia3. The timing of the outbreak, in early September, is also consistent with previously recorded outbreaks of Akabane virus, which have been observed from September to December3. 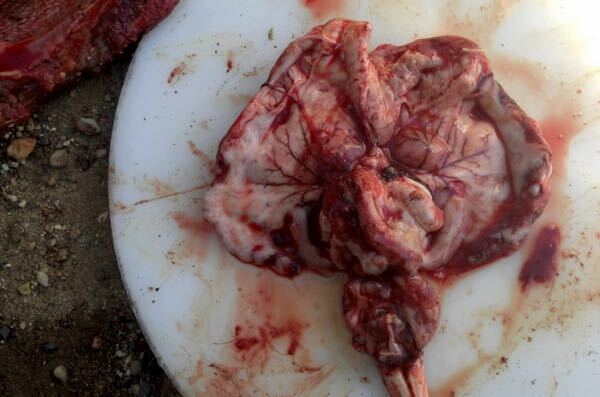 Having the opportunity to perform neurological examinations of live, affected calves prior to performing a post-mortem was helpful in localizing the likely location of the lesion to the brain itself rather than the peripheral nervous system. This is important in reducing the list of potential differential diagnoses2. The prognosis for the surviving calves is guarded. Calves that are able to walk and suckle may survive into adulthood but are prone to misadventure such as entanglement in fences and drowning1. They are also difficult to muster and handle in yards3. The calves may also be persistently infected and pose an ongoing risk to naïve in-contact animals. There is little that can be done for this season’s calves, however a testing and vaccination program has been implemented on this property to prevent such catastrophic BVDV infections in future.